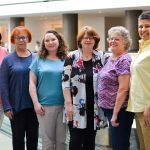 For many years, editing and contributing to the Theology Cataloging Bulletin (TCB) was a service to my chosen profession that I gladly provided. The preparation of each quarterly issue was a collaborative effort involving folks from across the country and sometimes internationally. 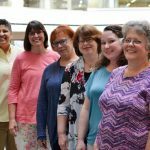 This included librarians in various types of libraries and staff members at the American Theological Library Association (ATLA), whose support continues to make this endeavor possible. Many good people volunteered their time to produce the Bulletin, some by compiling, editing, or contributing, and others by producing, distributing, or managing subscriptions. Because of their work over the years, we who have consumed its contents were spared hours of time by having newly-minted subject headings and call numbers, professional reading resources, and news filtered from a variety of sources delivered to us. TCB continues to enable us to make use of the most recent data in our daily work, take advantage of current educational opportunities, keep up-to-date on changes to our many rules and regulations, and share with and learn from the research and writings of our colleagues in the field. TCB is a tool of our profession. More than that, it is a reflection of the people who create and use its content. My approach to this testimonial is twofold: to provide some history about TCB’s origin, purpose, and development, and to reflect on what TCB tells us about who we are, what we do, and why we do it. TCB provides evidence that we are dedicated professionals who specialize in religious and theological literature and engage wholeheartedly in the virtuous acts of communicating, organizing, learning, teaching, helping, collaborating, and sharing — all for the purpose of facilitating our efforts at connecting people to information. We dream big, believing that our efforts as partners in the teaching and learning tasks of our institutions will give the people we serve the skills they need to fulfill their calling and thereby to make a positive impact in the world. At the 1980 ATLA Annual Conference in Denver, a committee called the Bibliographic Systems Committee was established. One of the concerns at the time was the significant delay in accessing subject heading changes distributed by the Library of Congress (LC). The Committee members found an ally in LC’s Subject Cataloging Division by the name of Warren S. Kissinger, who was also an ordained minister in the Church of the Brethren. In June 1982, Mr. Kissinger graciously agreed to collect subject headings in the field of religion from the weekly lists that floated around internally among the LC subject catalogers and share them with the Committee. Mr. Kissinger began clipping headings from the weekly lists and sending them to the Committee so that they could update ATLA members on a quarterly basis through the ATLA Newsletter. A two-page listing of the headings selected by Mr. Kissinger appeared in the ATLA Newsletter Vol. 30, no.1 (August 14, 1982) under the title “Current LC Subject Headings: Additions and Changes.” When it was determined that publishing the lists which began averaging eleven pages in the Newsletter was cost prohibitive, Russell Pollard (Andover-Harvard Library) came to the rescue and distributed the list on demand, a role continued by Thomas Gilbert. Initial demand totaled forty requests for the list but increased to over 130 in later years. In 1983, the Bibliographic Systems Committee met with the Publications Committee and decided to distribute the headings on a subscription basis and to publish them quarterly in September, December, March, and June. Tom Gilbert sent out sixty-one copies of the first issue of Current LC Subject Headings in the Field of Religion, which cumulated headings from June 1982 through August 1983. This title produced the acronym CLCSHITFOR, by which it was known, unpronounceably, for some years. Libby Flynn compiled the list from 1983-1988 followed by Alice Runis from 1988-1992. In 1992, Current LC Subject Headings was supplemented with News and Views: A Newsletter of the ATLA Technical Services Section, edited by Roberta Hamburger. Also, in 1992, John Thompson reported that “after years of coping with the ungainly acronymed CLCSHITFOR (Current Library of Congress Subject Headings in the Field of Religion), the Technical Services Section (TSS) decided in Dallas to simplify its name and expand its coverage” (Newsletter 40:1, 15). Thus, a new publication was created, and named, and declared good. The first issue of the Theology Cataloging Bulletin appeared in August 1992. In addition to a new name, and a new acronym, it had new content. Alice Runis continued providing new and changed subject headings in Section One; however, now included was Section Two containing “News and Views of the Members of the ATLA Technical Services Section,” edited by Roberta Hamburger as well as columns for LC Classification Changes and LC Rule Interpretations (AnnMarie Mitchell); General Cataloging Questions and Answers (Eileen Saner); “In Print” : Recent Articles of Interest (John Thompson); Serials Cataloging Issues (Cliff Wunderlich); and Name and Subject Heading Issues (Chris Cullnane). In Vol. 4, no. 1 (August 1995), Section Two became LC Classification Additions and Changes, B-BX, and Section Three was introduced for “News and Views.” Initially distributed by Ferne L. Weimer, Billy Graham Center Library, Wheaton College from Vol. 1, no. 1 (August 1992) to Vol. 2, no. 4 (May 1994), TCB has been distributed by ATLA from Vol. 3, no. 1 (August 1994) to the present. In 1998, TCB was launched on the ATLA website. Next, I will share some ruminations on what these sections tell us (remind us) about what we do and why we do it. Past editors of the TCB were: Roberta Hamburger: Vol. 1, no. 1 (August 1992)-Vol. 5, no. 4 (May 1997); Lynn Berg: Vol. 6, no. 1 (August 1997)-Vol. 18, no. 3 (May 2010), and Tammy L. Johnson: Vol. 18, no. 4 (August 2010)-Vol. 21, no. 1 (November 2012). Leslie Engelson is the current editor since Vol. 21, no. 2 (February 2013). This is the section where we play with words. We assemble terms that we use to connect to bibliographic records, so they can be retrieved by subject. We apply the terms that have been given to ideas, terms that for better or worse reflect our cultures and our times. We add new terms as they are created since language is a living, evolving creature. And we change them, occasionally, when preferred terms come along, keeping us relevant to the ones we serve. We organize the terms into categories, categories that define our world as we see it from where we are. Our aim is to put like things together, like Noah and his two of every kind, but also to make distinctions, like Noah between male and female. Knowledge of the literature of our field, theology and religion, is necessary to make these connections well. A healthy knowledge of other disciplines is also necessary due to the interdisciplinary nature of higher education and the intersection of religion and theology with so many other disciplines. We establish relationships between words (broader, narrower, related). This arrangement helps us to see things in perspective and helps us guide people through the web of words to what they are specifically looking for in the quickest and easiest way we can manage it. Therefore we insist on controlling our vocabulary, which makes us control freaks, but in a good way. This control is what makes searching more efficient and finding much speedier. How are the LC-approved headings that appear in TCB Section One selected? Ann Heinrichs, the current compiler of this section, kindly revealed her secrets to me. For starters, the lists are now published monthly, not weekly (since 2011 according to the LC website), and there is about a month’s delay in the posting of a monthly list to the website by LC (that is, the March 15 list may not be posted until around April 20). She accesses the new and changed headings on the LC website and begins by considering which headings have a connection to religion or theology, explaining that sometimes this connection is obvious and sometimes it is not. For example, she would include the geographical place name “Tobernalt (Ireland)” in the list because “Holy wells—Ireland” is listed as a broader term. She also may exercise her judgment to filter out listings that do not represent headings of significant interest. Some of the headings she comes across while perusing the lists bring a smile to her face, such as “Bee culture—Religious aspects.” This is an example of the joy one can experience as a result of unexpected connections. She learns a lot in the process of compiling the lists and loves doing it. Past Section One compilers include: Alice Runis: Vol. 1, no. 1 (August 1992)-Vol. 7, no. 4 (August 1999); Hal Cain: Vol. 8, no. 1 (November 1999)-Vol. 11, no. 2 (February 2003); and Joanna Hause: Vol. 11, no. 3 (May 2003)-Vol. 22, no. 3 (May 2014). The current section compiler is Ann Heinrichs since Vol. 22, no. 4 (August 2014). This is the section where we play with numbers. Having drawn a picture of the world and defined it with subject headings, we now proceed to paint it by number, thus confirming that cataloging and classification are considered arts. The process of figuring out which classification number to assign a title while recognizing the multidimensional aspects it may present is part of the intellectual task of organizing the items into a logical framework within theological literature designed to allow people to find pertinent related materials without having to know specific titles in advance. Browsing the shelves or online catalog for one thing and finding something else along the way that fits one’s needs perfectly is not as serendipitous as it might feel to the browser given all the scheming the librarian has done to put it there. Continuous care and feeding of a classification system is essential to maintaining its usefulness and relevance. Ann Heinrichs, who currently compiles this section as well as Section One, notes that the listings of class numbers need to be examined thoroughly from A to Z so as not to miss some of those unexpected connections outside of the B class, such as this one in Class TJ: “Mechanical engineering and machinery–Mechanical devices and figures. Automata. Ingenious mechanisms. Robots (General)–Moral and ethical aspects.”From 2001-2012, Section Two was divided into two parts. Part 1 was compiled by Paul Osmanski and consisted of a two-column table listing LC subject headings in column one and a related Dewey Decimal Classification (DDC) call number in column two. The stated purpose for this correlation was “to provide the classifier assistance for topics of recent interest not mentioned explicitly in Edition 21.” Part 2 consisted of LC Classification Additions and Changes, B-BX and was compiled by Eric Friede, followed by Joanna Hause, and then Ann Heinrichs. Eric Friede reflects that he found the process of compiling the list useful in his work and hoped that his contributions proved useful to his colleagues as well. Past Section Two compilers include: Jon Jackson: Vol. 4, no. 1 (August 1995)-Vol. 7, no. 4 (August 1999); Eric Friede: Vol. 9, no. 2 (February 2001)-Vol. 21, no. 1 (November 2012) and Joanna Hause: Vol. 21, no. 2 (February 2013)-Vol. 22, no. 3 (May 2014). The current section compiler is Ann Heinrichs since Vol. 22, no. 4 (August 2014). Paul Osmanski compiled LCSH/DDC for Vol. 9, no. 1 (November 2000)-Vol. 20, no. 3 (May 2012). This is the section where we play well with others. We do this by sharing and collaborating to help each other do our best work to assist our library users and each other. We received regular reports over the years from our liaisons to CC:DA (Committee on Cataloging: Description and Access) from Sally Berlowitz, Judy Knop, and Armin Siedlecki. The bibliography of Selected Articles from Current Library Journals that kept me searching Library Literature and the internet for professional reading from Vol. 3, no. 1 (August 1994)-Vol. 22, no. 3 (May 2014) has been taken up by Anna Appleman since Vol. 23, no. 3 (May 2015). Preparing these bibliographies helped me keep up with what was happening in our corner of the library world. Regular listings of professional development opportunities provided by Leslie Engelson notify us of workshops, webinars, and courses to help us develop new skills and advance our knowledge in others. Information on the efforts of a group of hard-working folks who are collaborating to produce authority records and serial records comes from Richard Lammert, our current NACO/SACO funnels coordinator, and Michael Bradford, our CONSER funnel coordinator. The Testimony column, a new feature since Vol. 23, no. 4 (August 2015), has proven an interesting and educational addition to the bulletin. It is a first-person account of a project, training, or other experience that colleagues share with the technical services community. Some of these columns have been republished in the ATLA Newsletter indicating they are of interest to the wider library community. Past Section Three editors include: Roberta Hamburger: Vol. 1, no. 1 (August 1992)-Vol. 5, no. 4 (May 1997), Lynn Berg: Vol. 6, no. 1 (August 1997)-Vol. 18, no. 4 (August 2010) and Tammy L. Johnson: Vol. 19, no. 1 (November 2010)-Vol. 21, no. 1 (November 2012). The current section editor is Leslie Engelson since Vol. 21, no. 2 (February 2013). TCB has been through a lot of changes since its inception, from changes in editors, compilers, contributors, distributors, titles, format (paper to online), publishing patterns, and subscription costs. Two further changes will be happening simultaneously in January 2019. First, beginning with Vol. 7, no. 1, TCB’s publishing pattern will be changed from November, February, May, and August to January, April, July, and October. Second, TCB will become available open access on the same platform as Theological Librarianship and the Proceedings, other member publications of ATLA. These initiatives are expected to increase visibility and readership. Despite these changes, the purposes of TCB have remained constant: to be a tool for communication, collaboration, and learning. Many thanks to everyone who has had a part or will have a part in the making of TCB. I must confess that reading certain documents in library literature causes me to yearn for the language of simplicity. When someone asks me what we do as theological catalogers, I want to say very simply that we play with words, we put things in order, and we share what we have and what we know. We establish relationships and make the connections that are key elements in making this information system function well. Through this collaborative endeavor, we enable people to accomplish their research and educational goals, so they can help make the world a better place by fulfilling their personal callings. Resources used: ATLA’s Proceedings, Newsletter, and past issues of TCB. 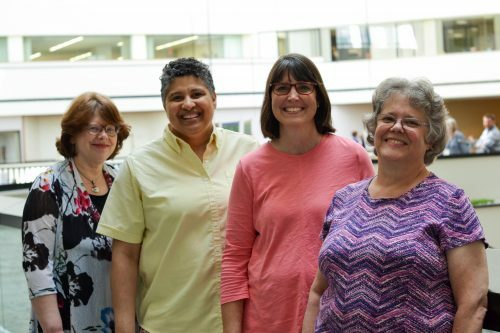 Featured Image: Former and current editors of Theology Catalog Bulletin (L to R: Lynn Berg, Tammy L. Johnson, Leslie Engelson, and Alice Runis). This article was previously featured in Vol. 26, No. 4 of Theology Cataloging Bulletin (TCB), an ATLA member publication. Testimony is a feature in TCB that gives a place for members of the technical services community to share their stories. We felt this testimony was applicable to the wider community and have since published it below for you.